﻿ Is Ronaldo still returning to Manchester United this summer? 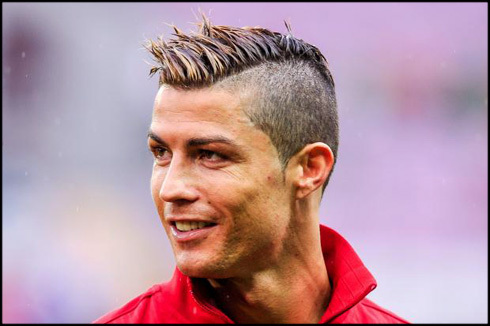 17.08.2013 » Is Ronaldo still returning to Manchester United this summer? Everyone has heard of the Gareth Bale to Real Madrid saga all close season, but where does it leave Ronaldo in all of this? Can the former Manchester United player still rejoin his old club in the weeks ahead? Since Sir Alex Ferguson's departure as manager at Manchester United, new head coach David Moyes has yet to make any signings for the Red Devils. So far he has had to deal with the situation regarding want-away star Wayne Rooney, with Chelsea leading the pack for his signature. However, United are reluctant to sell at all and especially not to a rival, so could Rooney be heading out of England and perhaps even to Real Madrid? There are rumours that Wayne could be playing in the white of Madrid but it is doubtful, with Tottenham valuing Bale at around £110 million surely there would be no money left to buy a player of Rooney's calibre! 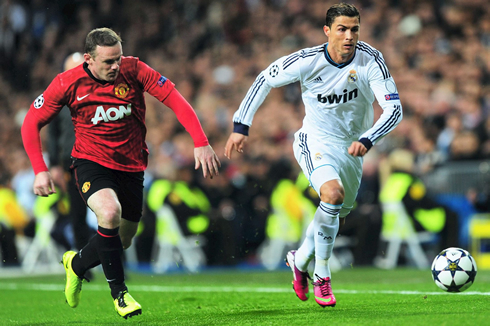 If Manchester United bought back Ronaldo – would Rooney want to stay? Wayne Rooney and Cristiano Ronaldo formed a formidable partnership when the latter played for Manchester United, and with Moyes being the new manager of the Red Devils, he would want to make a statement of intent and keep hold of Rooney – perhaps also bringing back fans favourite Ronaldo, who would supply great service to the ever-scoring ex-Arsenal forward Robin Van Persie. But could Ronaldo really fit into a David Moyes side? Whilst at Everton, the Scot favoured a 4-4-1-1 formation – normally out of necessity – with two holding central-midfielders protecting the back four, thus allowing the wingers, attacking midfielder and striker the freedom to attack the opposition. In particular, Moyes always allows one of his wingers the freedom to be the creative force. Last season it was Belgian winger Kevin Mirallas who was given a free role and he returned with 6 goals and 6 assists. So if Mirallas can get that at Everton… imagine what Ronaldo's free role could bring him at Old Trafford! Last season Ronaldo had a free role at Real Madrid and he managed 34 league goals and 11 assists in 34 games, while in his best season at Man United he managed 42 goals in 49 games in all competitions. Alternatively, Ronaldo could line up just behind Robin Van Persie – replacing Wayne Rooney who scored 10 goals and got 9 assists in that role last season – a pairing that would frighten even the meanest Premier League defence. The #7 jersey at Manchester United has been vacated for this season, with Valencia being the last unsuccessful owner of the famous shirt. This adds fuel to the fire that Cristiano Ronaldo could be returning for the campaign and reclaiming his beloved number amongst Manchester United's elite. Or could it instead be that Moyes has lined up a different marquee signing instead of the Real Madrid attacking midfielder? It's obvious that Ronaldo would be happy to come back and be a part of the team that got him his massive move but could he ignore the fact his old manager Mourinho manages possible title rivals Chelsea? In some circumstances we would say yes, surely the chance to play for the team where he is loved outweighs that thought. Sometimes though, it would be a thought that crosses his mind, the question he would have to ask himself is that would he be happy playing against Chelsea? Would he be happy about the chance to score against Mourinho's team? Also, the arrival of Neymar to Barcelona potentially means Ronaldo won't be the star of La Liga anymore. No longer is the battle just between Messi and Ronaldo, there's another big star arriving to stake his claim as the best in Spain. His arrival may force Ronaldo to rethink his time in Spain, with the possibility of joining a club (and nation) where he's loved proving a real attraction. Fans play a big part at a club and this is no different at Manchester United, where millions of supporters who follow the Reds all loved retired manager Sir Alex Ferguson. Moyes' previous club however, did not have the expectancy and demand that United holds, and some fans already are being pessimistic and not giving Moyes a chance. So a great way to get the fans on side straight away will be to bring a big signing to Old Trafford, and what better player to bring in but the one player supporters most desire to see back in red again – Ronaldo. Not only that, but with many expecting Chelsea and Manchester City to be vying for the Premier League title ahead of United, having Cristiano Ronaldo return to the Red Devils will cause those fans to think again. It's doubtful that Moyes could really pull of the deal however. With Carlo Ancelotti keen to keep the Portuguese star, the chance of United getting Ronaldo is slim to none. It seems more than likely that Ronaldo will be playing for Real Madrid for the upcoming season. There is always hope though and it's not hard to see how much hope the Red Devils fans have. All you have to do is look on Twitter and see just how much it will mean to these fans. Not only do they think it would heighten the chance of recapturing the title, but having a fans' favourite back would soften the blow of losing Sir Alex Ferguson. Cristiano Ronaldo next game for Real Madrid will be against Betis, this next Sunday (August 18, 2013). In the meantime, you can watch Real Madrid vs Betis, Barcelona vs Levante, Swansea vs Manchester United and Arsenal vs Aston Villa, all matches provided from our live football streaming section.